Earlier this week, Apple announced their next version of Mac OSX at their annual developer's conference called OSX 10.10 Yosemite. For those of you who are part of Apple's Development Program and would like to test drive the latest Developer Preview, you can quickly and safely do so by running it inside a Virtual Machine using either VMware Fusion or VMware vSphere. Disclaimer: It is important to note that Mac OSX 10.10 is not officially supported by VMware because Apple has not officially GA'ed, however it will run fine for the most part. UPDATE (07/26/14) - I was able to install the latest OSX Yosemite public beta using the same instructions listed below. It is highly recommended that you perform an upgrade using the .app from an existing installation of Mac OSX to Yosemite for optimal performance. There are currently some known issues with a fresh installation which may cause some problems, this is currently being investigated by VMware Engineering. 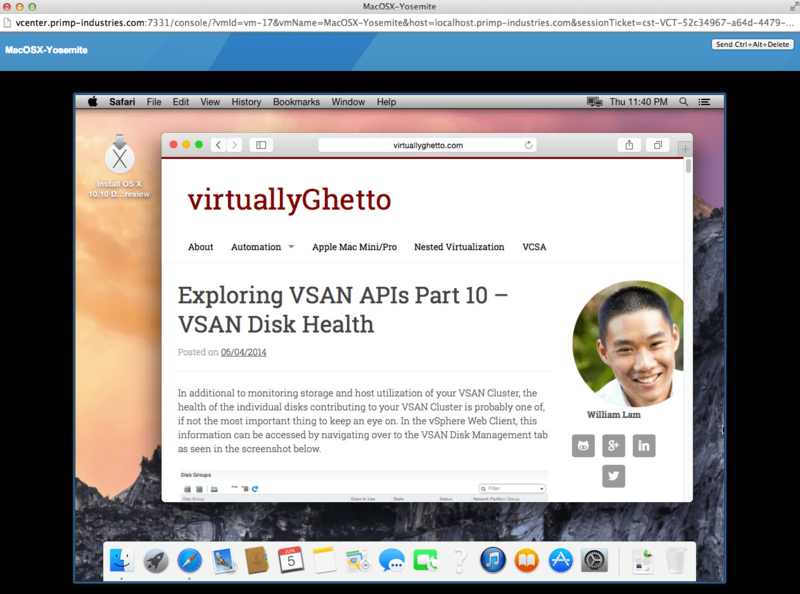 For Fusion users, I recommend using the latest VMware Fusion 2014 Tech Preview and selecting OSX 10.9 as the guestOS. If you have any feedback on the Tech Preview of Fusion, be sure to leave a comment on the Fusion Community Forums. Here are a couple of screenshots going through the upgrade as well as a successful boot of Mac OSX 10.10. For vSphere users, you will need to be running vSphere 5.5 and using Virtual Hardware 10 which provides support for Mac OSX 10.9 as a guestOS. If you need to perform a fresh installation of OSX, you can follow the detailed instructions here which requires a quick format of the underlying virtual disk before starting the installation. 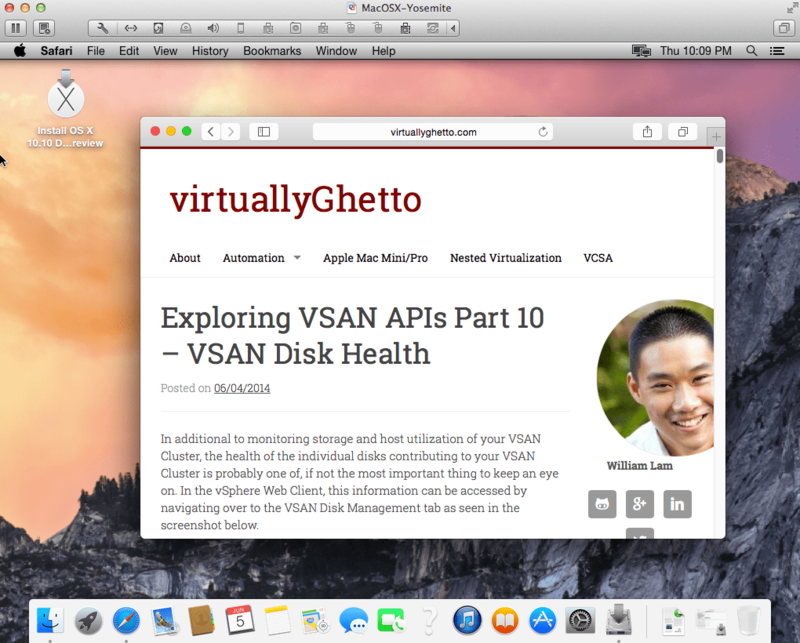 Below is a screenshot of Mac OSX 10.10 running on vSphere on top of my Apple Mac Mini. Even with some of these issues, I still think it is pretty cool that you can run a Beta version of OSX that was literally released a couple of days ago. I know VMware Engineering is already hard at work on figuring out the issues and optimizing OSX 10.10 to run just as smooth as past releases of Mac OSX. I am confident by the time Mac OSX Yosemite GA's, that it will be running flawlessly! 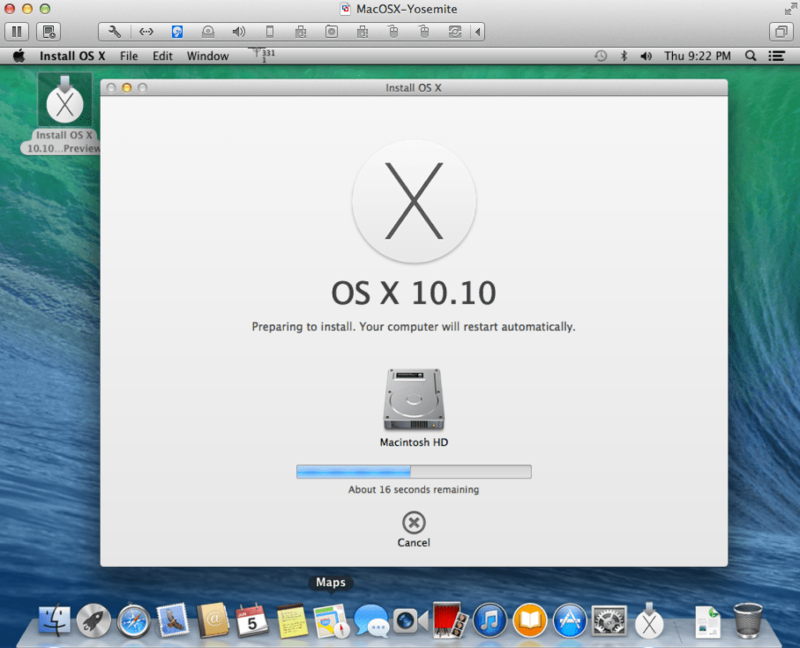 I also would like to thank Regis Duchesne for sharing some tips on getting OSX 10.10 up and running. same issue here after installing vmware tools, anyone knows a fix for this? At least for me, without vmware tools everything runs really slow. @lamw The problem “Installing VMware Tools does not work and just seems to hang. If you need VMware Tools, make sure you install it before upgrading” seems to be specific to the Fusion Tech Preview only. @lamw Actually, it seems this turns out to be false. I was able to install VMware Tools *after* upgrading to 10.10, even in the Fusion Tech Preview without hanging. So looks like the hang may be limited to clean installs. I wrote a blog article about testing Yosemite and VMware Fusion where I detail out the steps you can take to install Mac OS X Yosemite betas in virtual machines in VMware Fusion and on partitions, my testing results, recommendations on high performance USB 3 flash drives, backups with Time Machine and more. I hope you find it useful and share any discoveries and insights that you have. It looks like as of July 3, there’s a new Technology Preview that might improve Yosemite support, so try updating. I’m successfully running Yosemite on ESXi 5.5 U1, but noticed that vram is limited to 3KB and hence allows for low-res 1024×768, any idea how to bump this up ?. May be I’m doing something wrong, already increased vram to 8, 16 and 32 KB in the guest settings but always boot up to show 3KB in the about section. did you ever fix this? I’m trying to get this working myself. I recently installed ESXi 5.5u2 on my Mac Mini Server (Mac Mini 6,2 ) via your custom ISO. I am using vSphere Client downloaded from my ESXi server on a Windows 7 Professional VM running in Fusion 7 Professional. I am not able to create any VM’s with hardware version 10 from the vSphere Client, thus I have no option to create OSX VM’s past OSX 10.7. Are creating ESXi VM’s with hardware version 10 only possible with vSphere Web Client? Also, I tried uploading an OSX 10.8 VM from Fusion 7 Professional to my ESXi host and it times out. So the Fusion 7 Professional upload VM to ESXi host is not working as it should. I thought I saw somewhere that vSphere Client from ESXi 5.5 Update 2 could handle VM’s with hardware version 10, but I am not given a choice past hardware version 8. Thanks for the tip. Also, it looks like I may not be able to use the vSphere Web Client due to the requirement of a vCenter Server. As of now, I only have a single ESXi host. Perhaps down the road I may add more ESXi hosts. Would you advise installing a vCenter Server VM on a single ESXi host just to use the vSphere Web Client? I am going to install vCenter as a VM in Fusion 7 Professional on an external Mac. It looks like VMWare does not recommend it based on the Knowledge Base article “Running vCenter Server in a virtual a machine (10087).” However, I only have one ESXi host (Mac Mini (6,2) with 16GB RAM, 2.3 GHz i7) and I did not want to use up its resources for a dedicated vCenter VM. My plan for the ESXi host is to install a couple of Linux web servers. Once I get my Linux VM’s up and running I don’t think I will need vCenter much to manage them, so I would be using vCenter on a limited basis. Down the road as I gain more experience with vSphere I will most likely add additional ESXi hosts, but for now I just have the one host. Have you run vCenter in Fusion? Are there any words of caution you can offer for running vCenter in a Fusion VM? Thanks. For lab and evaluation environments this is perfectly fine, the KB is referring to Production environments that this would not be recommended. In fact, this is a common practice for many customers to run vSphere either on vSphere or on the hosted products like Workstation/Fusion. There’s nothing special about it and I recommend you check out the forums and perform some Google searches to see others experiences. I appreciate you taking the time to answer my novice questions. I will definitely look into the forums. I am setting up the VCSA in Fusion now. So I think I am all set to start experimenting with vSphere. Thanks again William! I got an hang after booting with apple white logo on black with fedora 20 trying out 10.10! Any idea? HI! please tell me how install Os x 10.10 Yosemite on esxi ? I have Yosemite installed on esxi 5.5. But it only recognizes 3 MB of video ram. I have the VM set to 32 MB and it doesn’t recognize. Is there any known way to fix this? I have not found anything online yet. 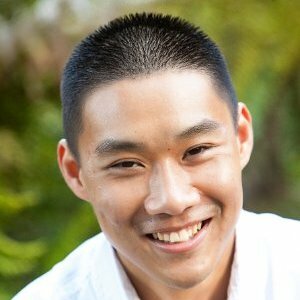 Hello William, great article! I have Vmware Workstation v11.1 & I can create VM’s up to hardware level 11 on my esxi 6.0 host. I’d like to buy an older Mac Pro 5.1 but I wonder If that will cause problems with regards to the vm hardware level / OS support in the future. The Mac pro 5.1 is on the HCL but how will things look in a couple of years ? Alternatively I could buy a Mac mini late 2012 but I read that quite a few people are experiencing heat issues when running esxi 6.0 on a mac mini laet 2012; any comments / suggestions ?